House Speaker Nancy Pelosi was reportedly seen in Reagan National Airport on Friday evening, one day after President Donald Trump canceled her trip overseas. MSNBC’s Garrett Haake tweeted a photo of Pelosi and her security detail at the airport. Fox News’ Peter Doocy also reported that it “appears” she’s leaving. 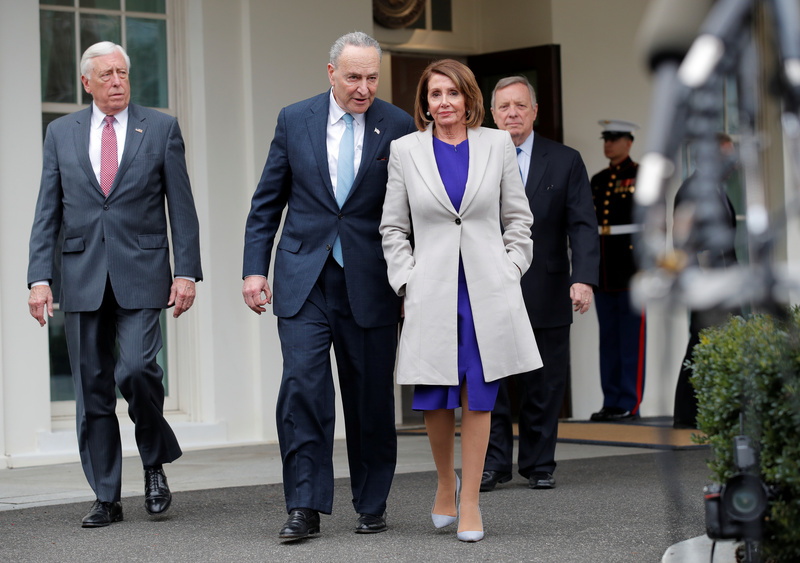 She, along with a number of other Congressional leaders, had plans to travel to Brussels, Egypt and Afghanistan with their anticipated departure on Thursday afternoon. Within approximately an hour of their planned takeoff, Trump sent a letter to Pelosi informing her that they would not be allowed to use a military aircraft for their transportation. “Due to the shutdown, I am sorry to inform you that your trip to Brussels, Egypt, and Afghanistan has been postponed. We will reschedule this seven-day excursion when the shutdown is over,” Trump wrote in a letter to the Speaker. The president justified the cancellation in a letter to her explaining that she should stay in Washington D.C. to continue negotiations to reopen the government, however, it appears that Trump’s efforts were futile. Trump’s letter appeared to be in retaliation to the Pelosi’s assertion that she would not invite the president to give a State of the Union address until the shutdown is over. The ongoing shutdown is currently the longest in history.